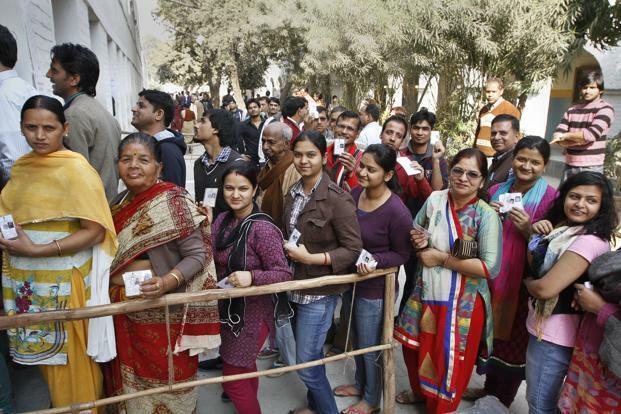 Over the last one month, the screen images continue to focus on that greatest show of Democracy on Earth, the on-going national elections in India. Close to a billion voters being wooed by a fractious, cacophonous political lot. On one hand, I see political parties investing a lot of energy and resources to disseminate what they stand for. Their manifestoes drip with great intentions that they are committed to fulfill if voted to power. Candidates vie with each other for that once in five years photo opportunity to stand shoulder to shoulder clutching their copy of this ‘intention bible’.But when a politician is confronted with non-fulfilment of earlier electoral promises, he is quick to ascribe causes. Of how the opposition was non-supportive in the parliament. Of how resources and funds were not made available. Of how, inspite of all such great challenges, he continues to remain totally committed to usher in development, both economic and social. On the other hand, I see the man on the street expressing his disenchantment with the political class, even the political process. Of his ire at the lack of fulfillment of election manifestoes in the past. Of his perception that election promises are meant to garner votes and quickly abandoned thereafter. Of his perspective that politicians exist only to feather their own nests in terms of aggrandizing power, influence and money, giving scarcely a thought to the welfare of the citizenry. Of his fervent hope that at least this time around, the politicians coming to power might be motivated to focus on development, both economic and social. I muse about this lack of alignment between the politician and citizenry even though both speak of the same goal viz. development, economic and social. Do I sense a loss of faith in the workability of our political system? What is at the core of this failure? My thoughts shift to the Integrity model which I had read about recently. Authors Werner Erhard, Michael Jensen and Steve Zaffron present this model to demonstrate how Integrity, as defined by them, is intrinsic to the workability in any situation. As I look at the Integrity model in the context of the Indian elections, I wonder about the contradictions the political process throws up. Could it be that the contradiction we see of espousing integrity but not honouring the word is a trait that exists in each one of us? So,what is it then that stops us seeing this contradiction? As I think of this, the following thoughts fleet through my mind. •	Do we see Integrity as some kind of a virtue to aspire for rather than an underlying condition for performance? 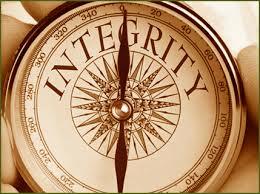 When we see integrity thus, we rarely think twice before sacrificing it to ‘succeed’. •	Do we suffer from self deception when it comes to our own out-of-integrity behaviour as we are quick to put the blame somewhere else but fail to see how our own failure to perform is linked to this violation of the law of integrity? •	What is it that stops us from admitting that we will not be keeping our word? Is it from a fear that we would be responsible for ‘cleaning the mess’ and thus look bad in front of others? •	Do we realise that having given our word, any attempt to subsequently link that to a likely benefit for us makes us look untrustworthy? As I think of the divergence between words and deeds that has rendered our political system (which also includes us!) untrustworthy and undermined its workability, I am left wondering at the kind of political language that may be used by both politicians and citizenry alike. A language that would align the commitments. A language that would ensure that owning upto our commitment failures and taking responsibility of the clean-up becomes the norm…….